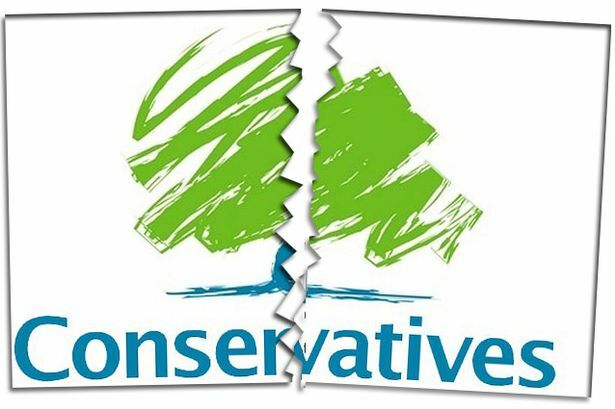 London Green Left Blog: Is the Tory Party About to Split in Two? 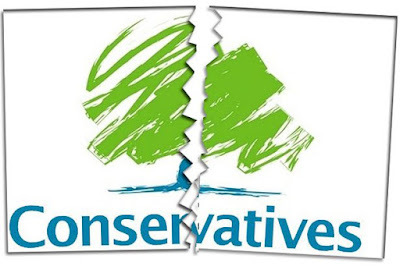 In my lifetime, I can’t remember the Conservative party being so close to splitting, as it is now. When John Major was leader and prime minister in the 1990s, he had plenty of trouble from a fair sized section of his back bench MPs over his signing of the Masstrict Treaty, but I don’t remember there being any appetite for a formal split in the party. The Tories are normally good at sticking together, but things may well have changed. The Guardian reports that Sajjad Karim, the party’s MEP for North-West England, said the Conservatives had to decide between being a “genuine one nation force” or “an English nationalist movement.” Former attorney general Dominic Grieve, has said he would leave the party if Boris Johnson were elected leader. Another ex-minister and MP Anna Soubry told the New Statesman that she “would consider joining a new "moderate, sensible, forward-thinking political party.” All of these people are from the liberal wing of the Tory party. Meanwhile the prime minister, Theresa May has written a letter to all members of the party in a desperate attempt to sell her Brexit Chequer’s plan to the rank and file, which is very unpopular with them, to say the least. ‘Theresa May faces Tory civil war after step taken towards investigation into Boris Johnson's niqab comments’ is the headline in The Independent. Grieve’s worst nightmare may well come true, with Boris Johnson’s approval ratings soaring and he is now clear favourite amongst members to succeed Theresa May as leader. Members get the final say on two candidates selected by MPs in the Tory party system for electing leaders. Of course the fracture is caused by Brexit, where a fundamental difference of political philosophy, largely about international trade, is tearing the Tories apart. It can be seen in differences in the attitude of business leaders too, with most businesses not wanting to see barriers to trade with Europe, but with some like James Dyson taking a different view, and espousing more far flung world trade. He has relocated his manufacturing business from the UK to Malaysia. I think it is probably true to say, that the current crisis in the Tory party is the worst since the repeal of the Corn Laws in 1846. The Corn Laws were tariffs and other trade restrictions on imported food and corn (grain), which led to food price rises and restricted growth in other sectors like manufacturing, with less disposable income left after food supplies were purchased. Here we have history repeating itself, certainly as farce in many ways, rather than tragedy, with the personal leadership ambitions of Boris Johnson thrown into the mix. The right of the Tory party, which includes the most hard line Brexiters, would like to see the complete removal of tariffs, by way of a free trade agreements with countries around the world, at the very least for a few years after we leave the European Union. They argue that this will bring prices down and therefore stimulate demand. There is a logic to this, as some countries have lower standards of worker’s rights, and environmental concerns are disregarded. The logic extends, by definition to remove these protections we have now in the UK too, to remain competitive in the free for all market place. The 'one nation force' to which Karim refers to is the notion first advocated by Benjamin Disreali, Tory prime minister (1868). He devised it to appeal to working-class men as a solution to worsening divisions in society through introducing factory and health acts, as well as greater protection for workers. The Tory party took this approach in the post world war 2 welfare capitalism consensus, and was only abandoned by Margaret Thatcher in the late 1970s. Successors as Tory prime ministers, John Major and David Cameron claimed to be one nation Conservatives, but their policies were the same as Thatcher's. Theresa May also claimed to be a one nation Tory on assuming leadership of the party, but has failed to live up to the claim. The crunch will come in the autumn I think, when decisions have to be taken about our future relationship with Europe, which could ignite an explosion in the Tory party.